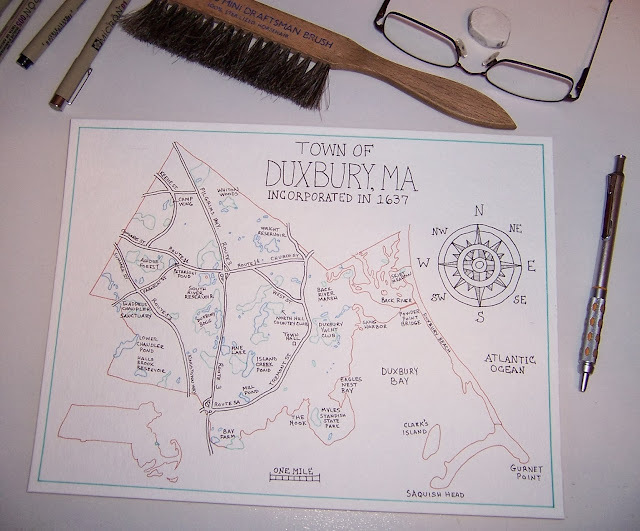 'Tis the Season...' for map commissions. ...and on to the next one. 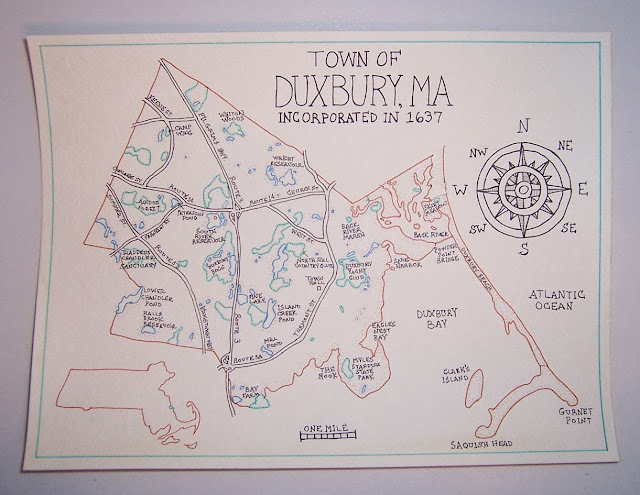 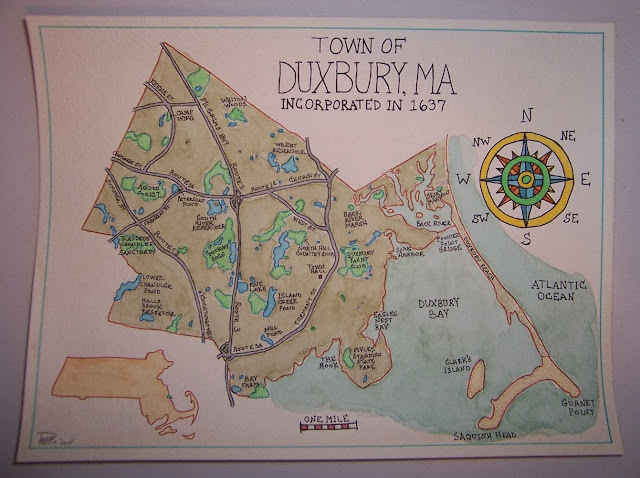 This is the second commission I have done of Duxbury, MA and marks the 10th map that I have sold. 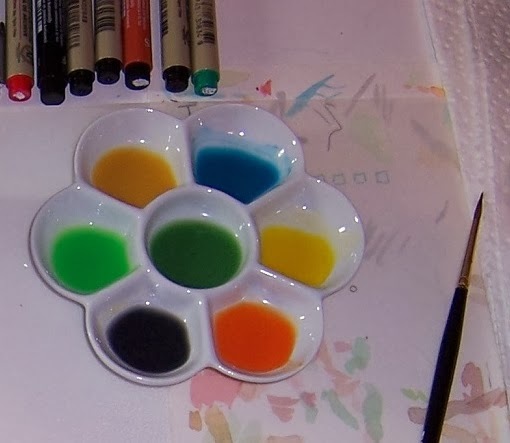 Seven more orders to complete and then I can set up an Etsy store and start advertising them.